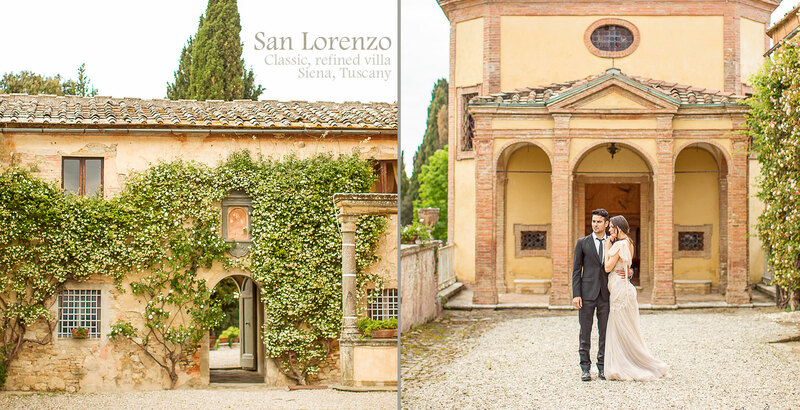 San Lorenzo is part of a beautiful estate, made up of main the villa itself and a fattoria (farmhouse). 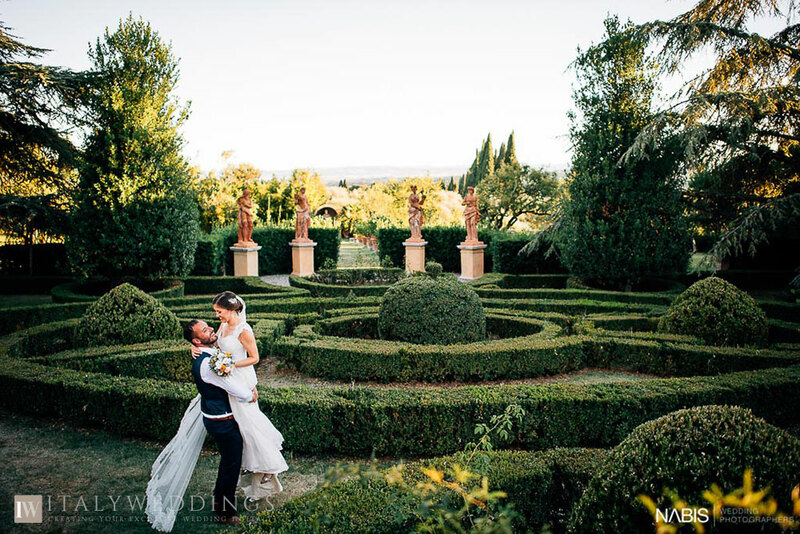 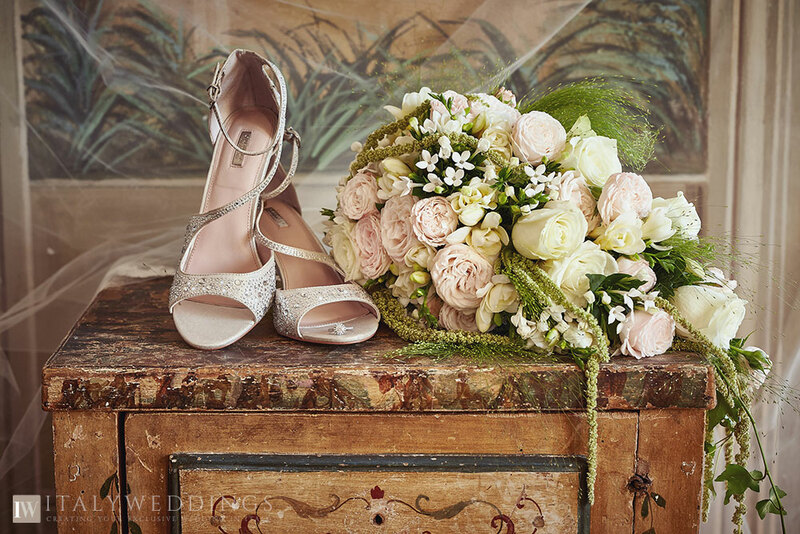 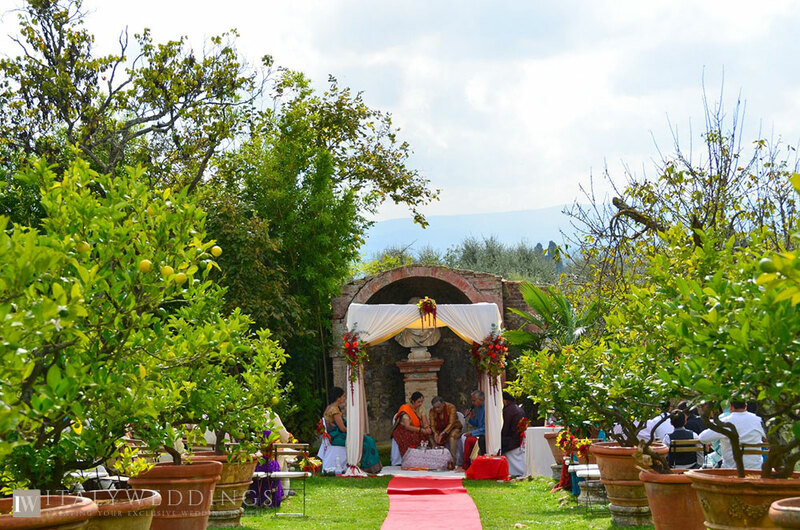 The classic beauty of this place, with its history, art, and idyllic countryside setting, create the perfect backdrop for an unforgettable wedding and vacation. 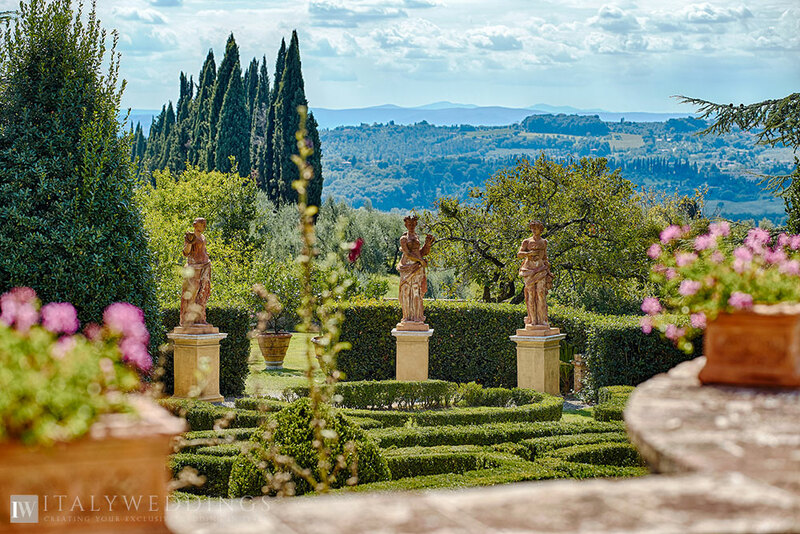 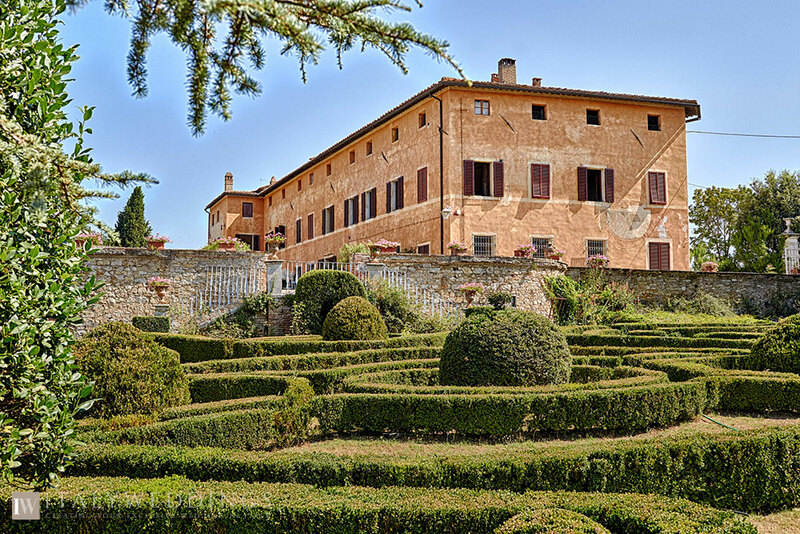 In the heart the wine-making region of Chianti Classico, the main villa is a magnificent 17th century building. 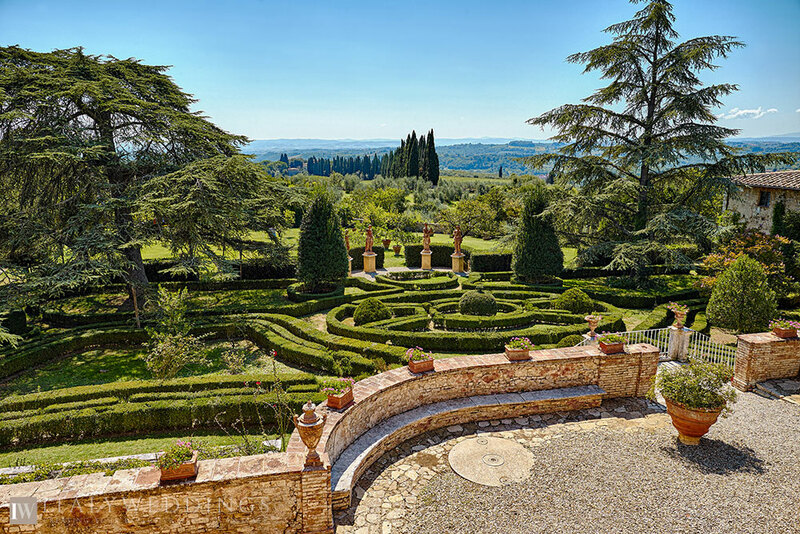 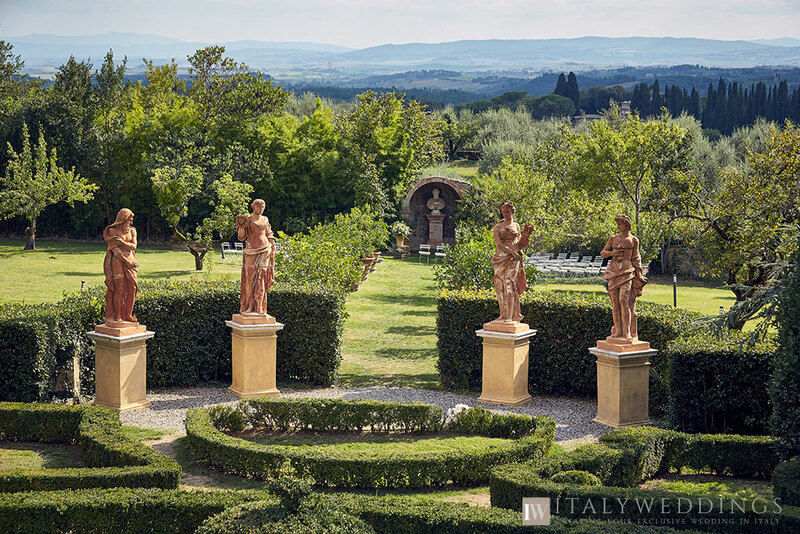 The peaceful, relaxed and secluded environment, combined with the proximity to all the most popular cities and towns (Florence, Siena, San Gimignano, and Arezzo) make it a truly ideal Tuscan destination. 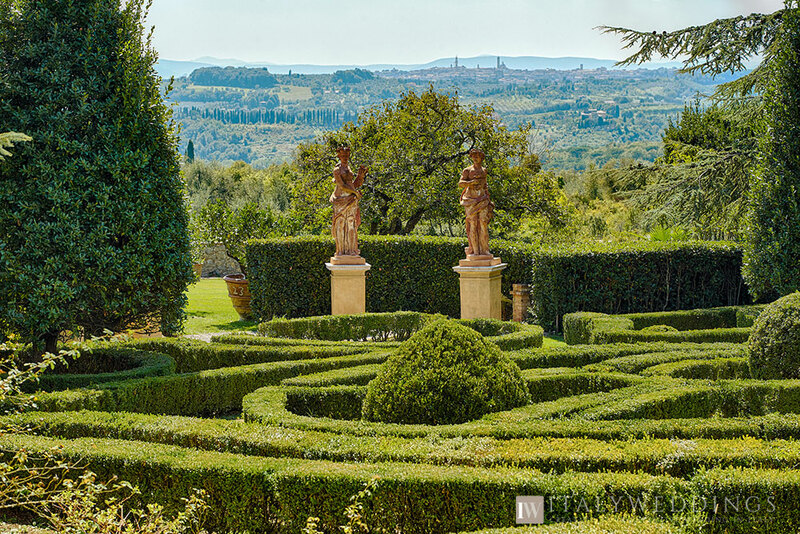 – Features of the villa: beautiful fireplaces, living rooms with hardwood flooring, frescoed walls, antique prints and beautifully crafted furniture enhance the Italian charm of the main villa and the seven luxury vacation apartments, some of which face the Italian gardens, while some others overlook the main courtyard and the surrounding Tuscan countryside. 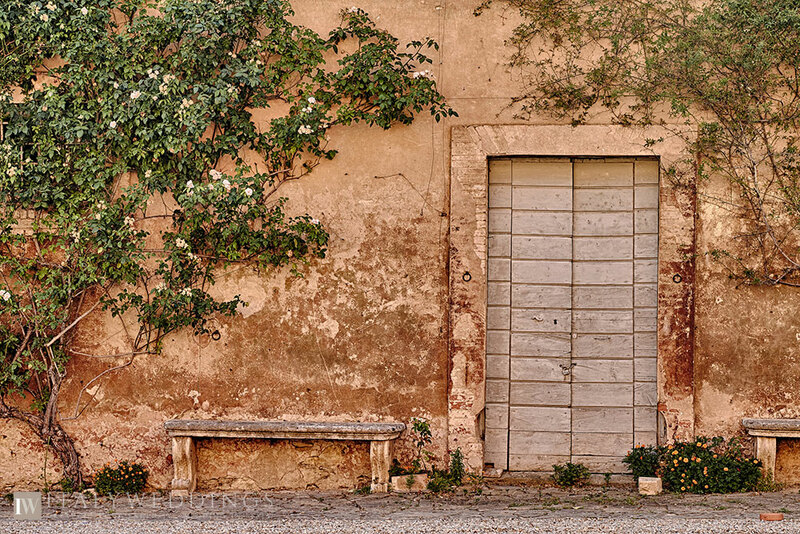 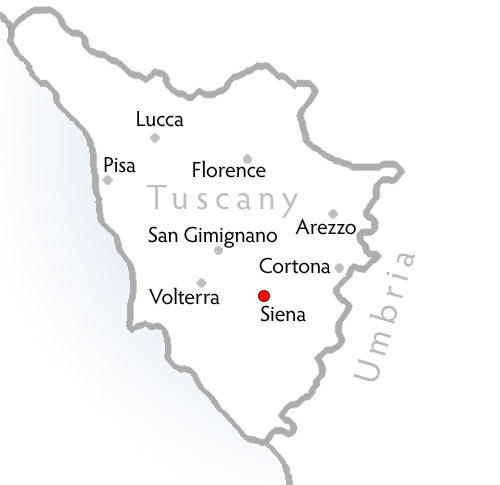 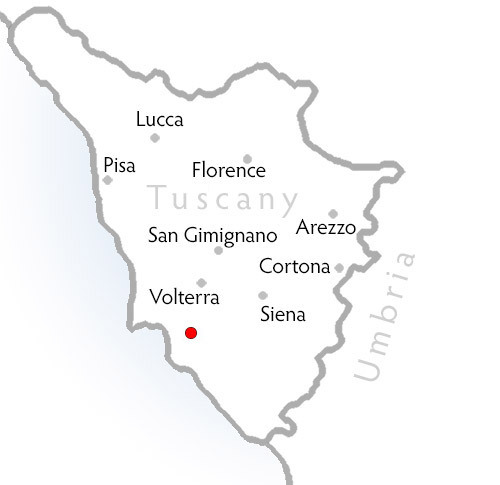 – Features of the fattoria: welcoming guests in rural-style accommodation. 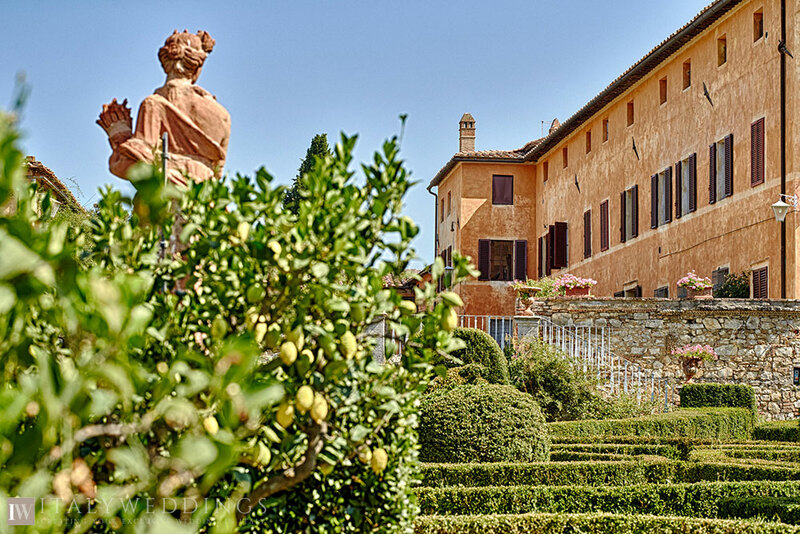 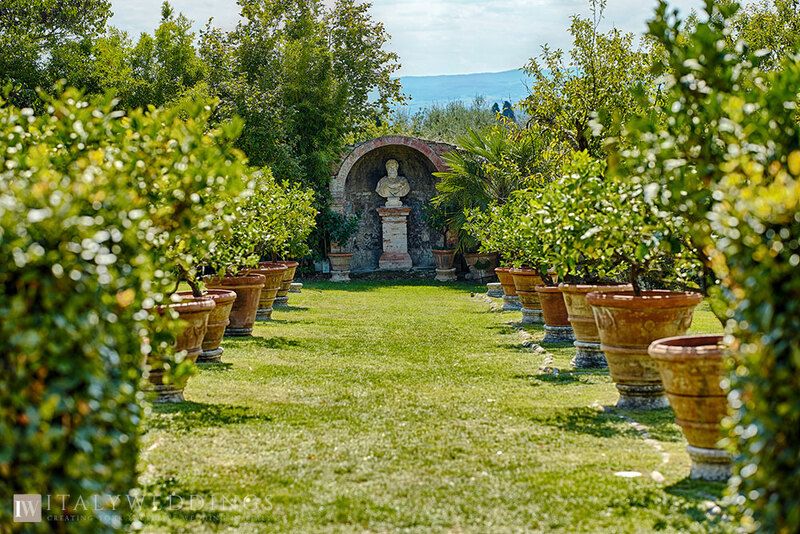 This traditional farm, devoted to the production of fine wine & olive oil, now carefully restored, respecting all the ancient, original features. 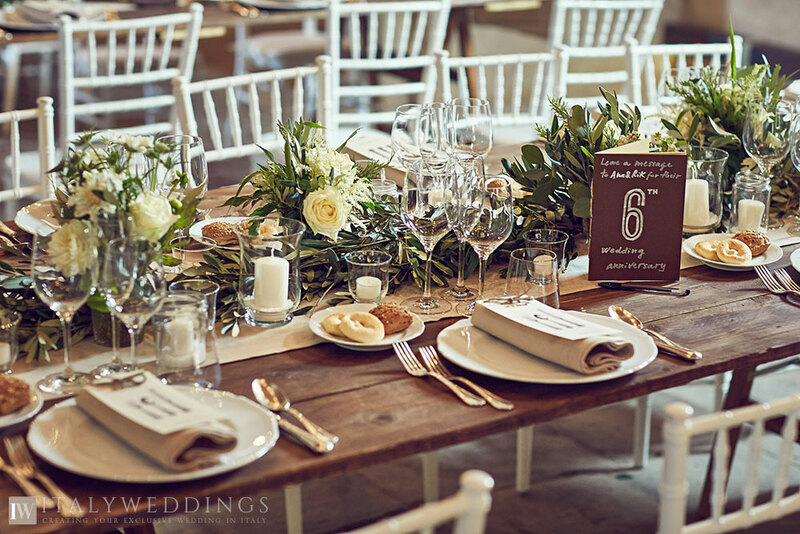 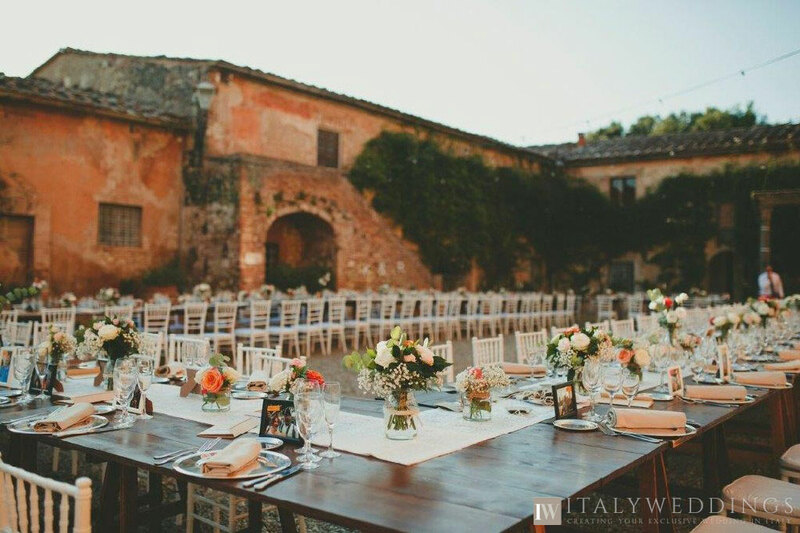 San Lorsenzo is the perfect venue for a wedding reception. 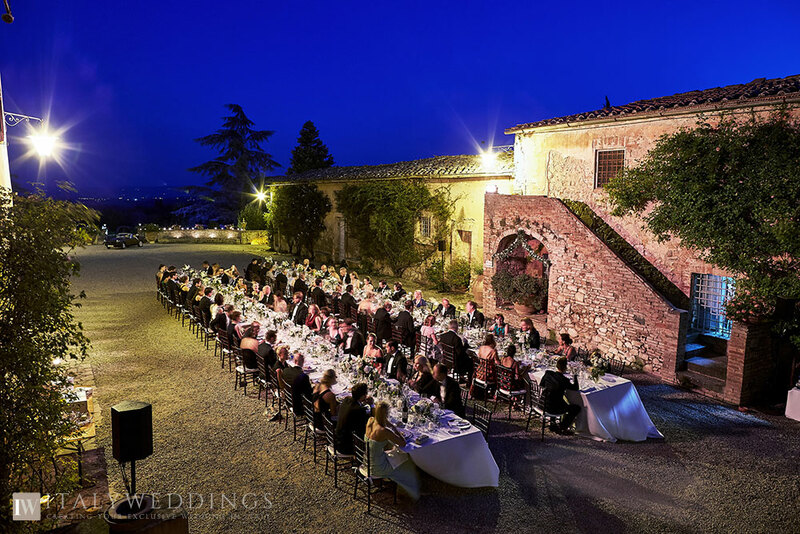 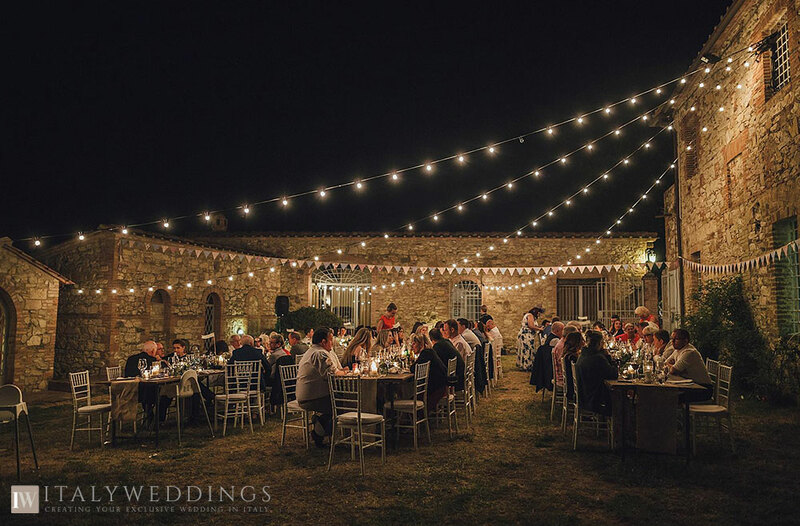 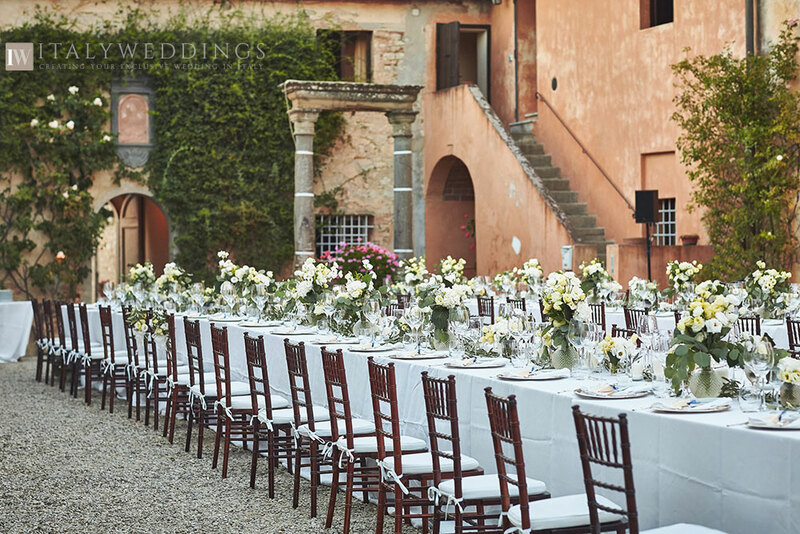 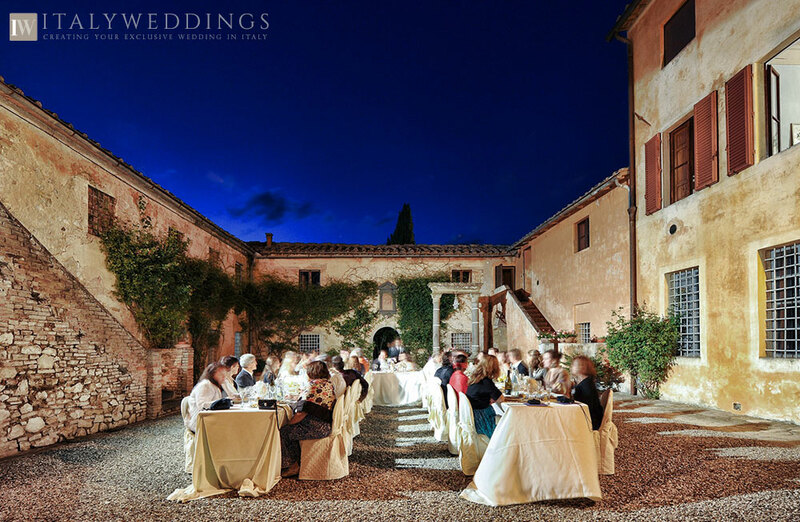 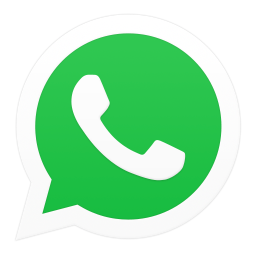 The villa has availability for several halls, The main hall, completely is fully restored with vaulted cailing and terracotta floors and holds up to 120 people for a seated meal. 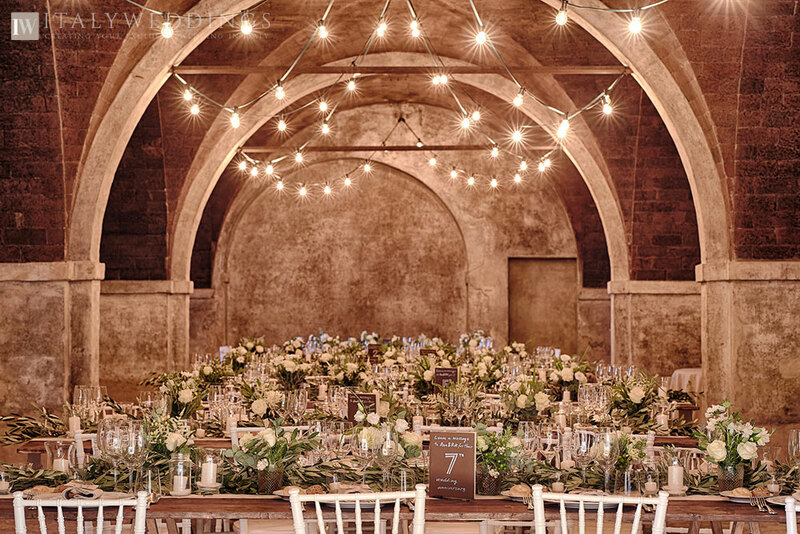 the second hall holds up to 80 seated guests.